Some cloudless patches here, but a huge thick band right where the sun needs to come up! Fingers crossed it moves a little! Not going to see much here at Bentley Park! Bah there's this one damn cloud parked right in front, rest of the sky is clear. Mmmoooovvveeeeeeee!! A break in the clouds - I have vision! Not a cloud in the sky here, 1/3 covered! Well done all... here's hoping all clouds move for you. I'm up and checked one of my little home made cameras (pin hole style) and it has commenced. You are right Trav the light has just dimmed. You may even feel a temperature drop shortly if not already. Birds may even go a little silent as it progresses. My local birds a singing like crazy but that should stop shortly. Its started here in Adealaide....about 1/3 of the sun is covered and thats all i expect. Pretty cool hey - I would have loved to have been up there to see totality. Wow that was eerie!!!! Saw the stars come out, birds disapeared pretty quickly. Clear skies at Tamworth, appreciable drop in light level, bring on 2028 !! Wooooooo!!!!! Clouds moved just in time to see the end of totality! Missed it with the camera. Wow it went dark, so eerie, all the street lights came on again! I love the photos PDM and and Things. They are great thanks for sharing. 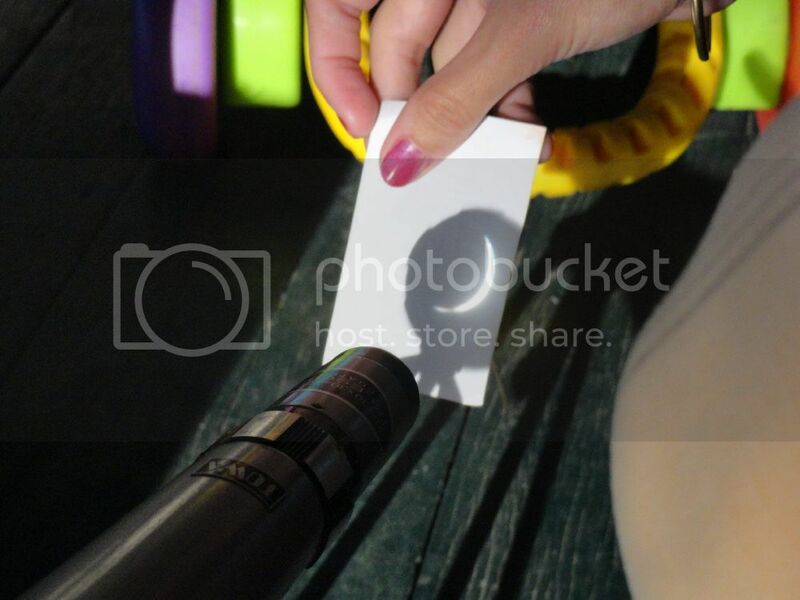 I remember seeing a partial solar eclipse when I was young and just loved the science of looking through a pin hole camera to view it. I think that was many a reason to cement my love of the Sun. 8 registered (wet sky, Teddy, DDstorm, mysteriousbrad, Farra, Dr Philosophy, 2 invisible), 55 Guests and 2 Spiders online.